Stornierungen und Änderungen von Zimmern ohne Pauchalpreis, die bis zu 3 Tage vor Anreisedatum erfolgen, sind kostenfrei. Stornierungen von Arrangements welche ein Anzahlung brauchen, Sind nicht Frei Stornierbar. Der 30% Anzahlung werd nicht Erstattet. Festtage Arrangements brauchen ein Anzahlung von 30%. ( Weihnachte, Silvester, Himmelfahrt, Pfingsten etc..) Nur bei Anzahlung ist die Reservierung Garantiert. Gruppe reservierungen ( Mehr als 8 Personen) brauchen immer ein Anzahlung geben zum Garantie. WLAN ist in viele Bereichen nutzbar und ist kostenfrei. Haustiere sind gestattet. Pro tag fallen Gebühren an von 7€ pro tier. To confirm your reservation, please make a payment to the account provided below. Scenically situated in a forest overlooking a game reserve, Waldhotel Heiderhof is quietly located outside the village of Obersteinebach. Free WiFi access is available at this family-run hotel. These country style rooms offer rustic charm with unique wooden furniture and elegant decorations. 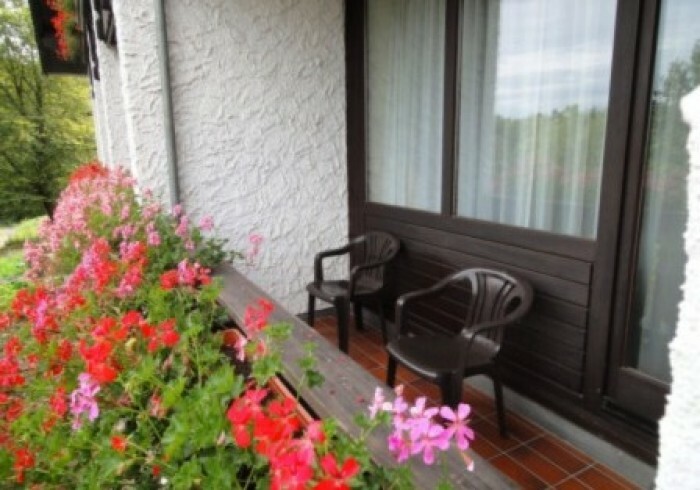 Each room features a seating area, satellite TV, and a private balcony with forest views. A hearty breakfast buffet is provided every morning, and the restaurant also serves classic German and regional specialities. In the evenings, guests can relax in the cosy hotel bar. Popular activities in the area include hiking and cycling, and routes are easily accessible from Waldhotel Heiderhof. The A3 motorway is a 5-minute drive from the hotel, and free parking is available.